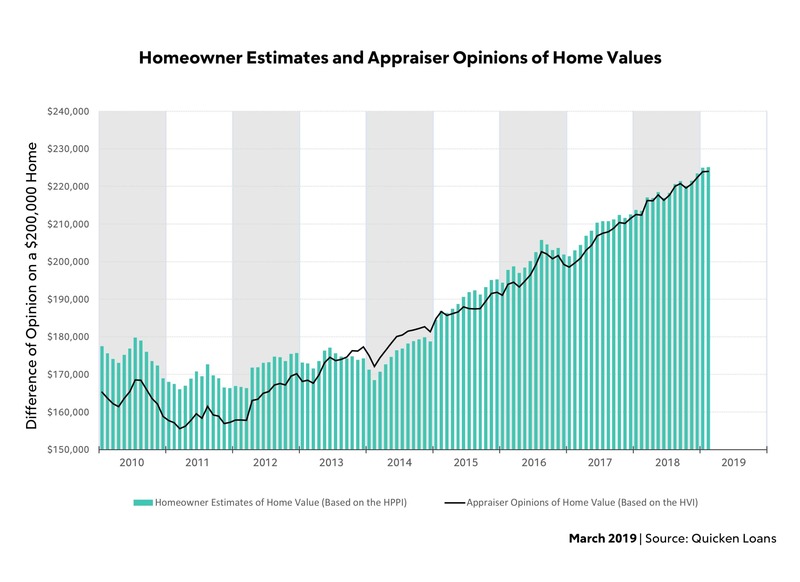 Homeowners are and should be proud of their homes, but that often leads them to think it has a higher value than does an appraiser and the difference between the two opinions increased significantly in March. Quicken Loans says the gap in its Home Price Perception Index grew by 25 percent compared to February. Part of the difference might be accounted for by a decline in home prices of 0.20 percent during the month although prices rose 3.37 percent over the previous 12 months. Nationwide, appraised values came in 0.78 percent lower than homeowners expected compared to 0.50 percent in February. Quicken Loans Executive Vice President for Capital Markets Bill Banfield said that there’s more than one reason behind this sudden increase in the gap between estimates and values. The gap was largest in the Midwest. 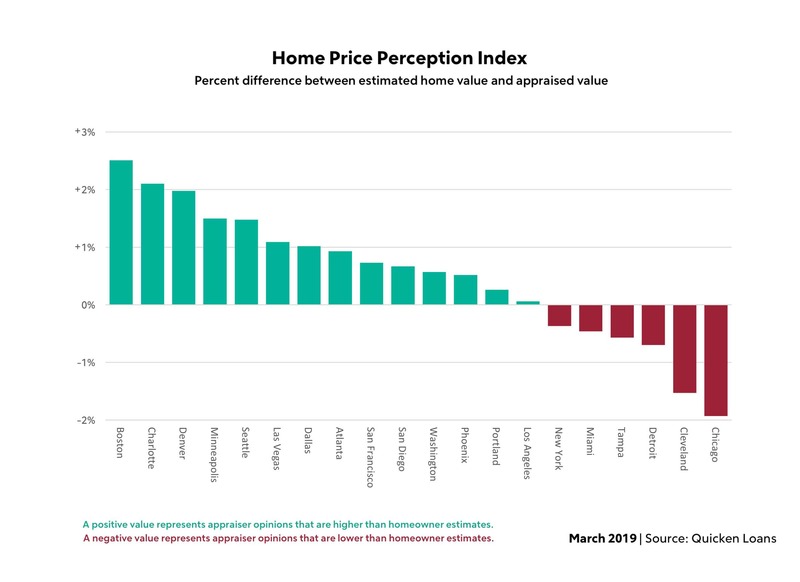 Homeowners there overvalued their homes by 0.90 percent while the overestimates were significantly lower in the Northeast, South, and West at 0.78, 0.76, and 0.70 percent respectively.